My skincare routine has tremendously changed over the past year or so. I remember posting about my skincare routine consisting of gazillion products and I found that it irritated my skin even more. Due to different harsh ingredients on top of each other as well as the abrasive rubbing and scrubbing of my face. My sensitive face can only handle so much that I started breaking out so bad. 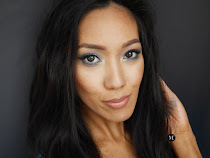 I have been researching and constantly trying different products to work on my acne-prone skin. It takes up to 6 months for certain products to fully work and that's one thing I didn't consider back then. I definitely learned the hard way that the simplest skincare routine works just as good as having gazillion other skin products. I start my skincare at night before bed. 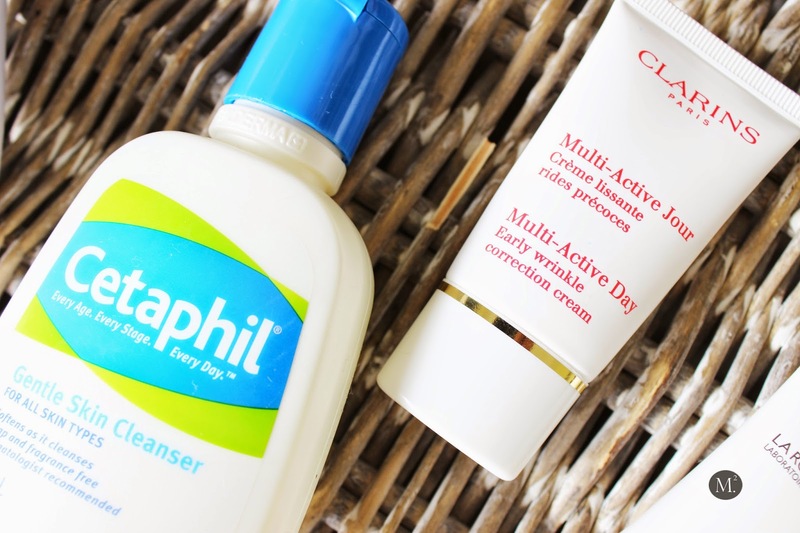 I use Cetaphil cleanser to break down my makeup and wash any dirt or leftover makeup. It is gentle and does the job. I then follow it up with this Olay facial cleansing brush. It works just as fine as the Clarisonic. It also comes with a replaceable brush head which is pretty hygienic! After cleansing and drying my face, I use La Rosche Posay Effaclar Duo which did a massive job in fading my dark acne marks and lessen the redness in my face. It truly works wonders! To follow that up, I use the Loreal Skin Perfection Serum. It improved my skin texture for 4 months of consistent use and I would never trade it for another skin care product. 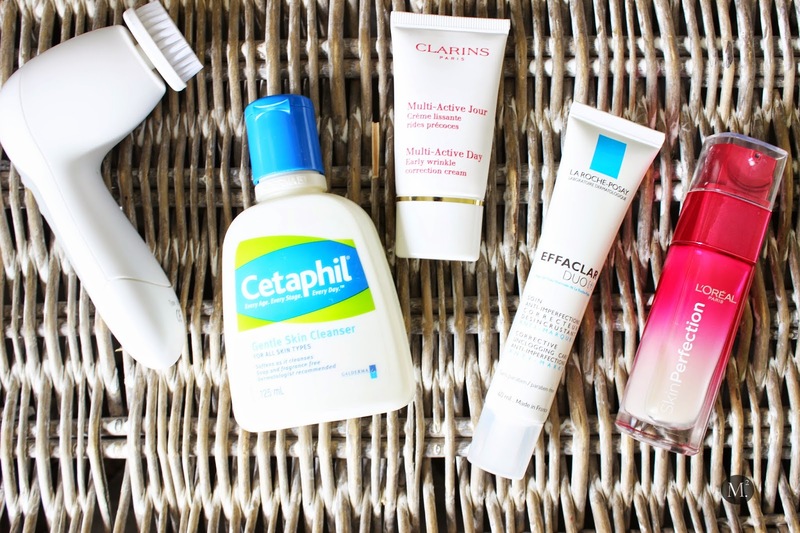 As for the eye cream, it changes from time to time but my two ultimate favorite is the Antipodes Kiwi Seed Oil eye cream and the Clarins Early Wrinkle Correction Cream. Both of these eye creams does a great job at keeping my under eye area moisturized. My morning skincare routine is no different from night routine. I only add a bit of SPF and a moisturizer to mix with the serum. And since I do all the intense washing and treatment at night, I only wash my face with water in the morning! This routine works great for me and have been doing it consistently for the past 6months now. Until I find something that will replace any of them, I'm more than happy on what products I use as of the moment. I need to get my hands on one of those face cleansing brushes. How much was the Olay one and where did you get it from? You can get it from Farmers or Warehouse and they're about $40. It comes with a sample size Olay cleanser, extra brush head and the brush cleanser. In my opinion, it works just as good as Clarisonic or Clinique so I can't justify spending $100 - $300 for a facial brush. 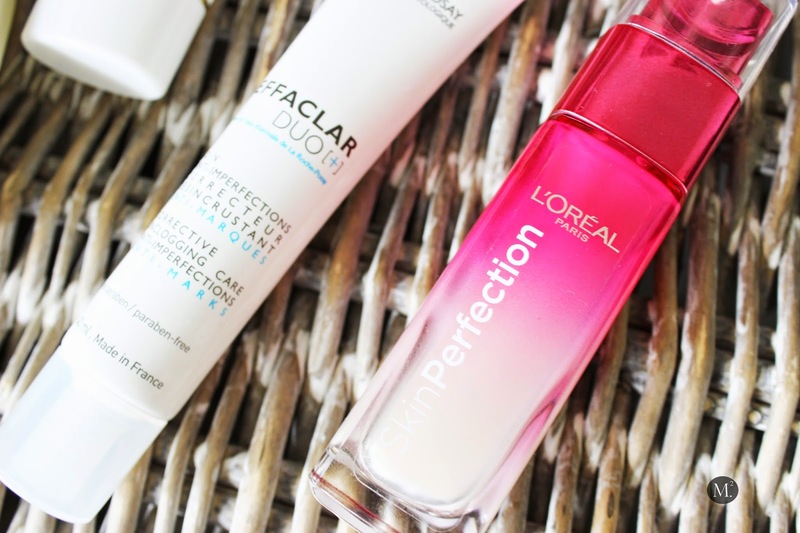 I'm really like the L'Oreal Skin Perfecting Serum too, already on my second bottle in a month! I know right? I go through it so fast and can't seem to find a replacement at all! I also love the fact that it is affordable.